Active Chartered Financial Planners is celebrating the start of another successful year, after winning a prestigious accolade at the inaugural Yorkshire Financial Awards. The Stockton-based firm was shortlisted in six categories, both as a business and for individuals, and the winners were revealed during a ceremony at Royal Armouries in Leeds earlier this month. 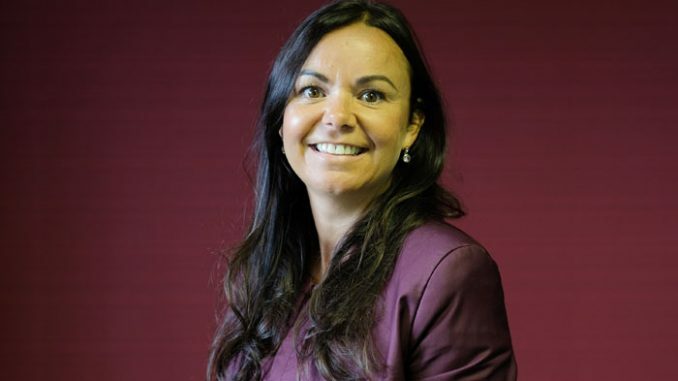 Chartered financial planner Liza Pontone – who was shortlisted in the Breaking the Mould category at the inaugural Tees Businesswomen Awards in 2018 – was handed the outstanding achievement award at the Yorkshire bash. Active was also shortlisted for Best Employer and Financial Adviser Team of the Year, while boss Karl Pemberton was shortlisted for Director of the Year, director Paul Gibson was shortlisted for Independent Financial Adviser of the Year and Andrew Gilmore was a runner-up in the Rising Star category. Active is the only firm in the Yorkshire Financial Awards 2019 to have been shortlisted in six categories. Liza said: “It’s an honour to have even been shortlisted for the Outstanding Achievement award at the Yorkshire Financial Awards, but to actually win was just amazing. “The culture at Active is about providing a gold standard service for our clients and being respected and treated well as a team. We celebrate success and share best practice. Karl Pemberton added: “This is a fantastic result for everyone on the team at Active. “Even though a few individuals were highlighted for separate awards, every single person on the team deserves some recognition and reward. “The team has worked exceptionally hard to build up a brand that is respected within the region, well-liked among those who know us, and, most importantly, trusted to give crystal clear and impartial advice.